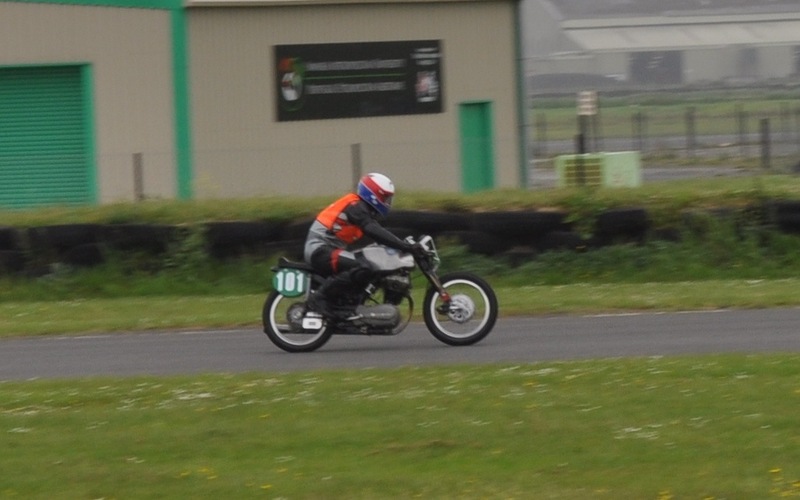 These shots were taken at the recent BHR Pembrey event on Saturday 21st May. Highlights for me include Merv Stratford's race winning works engined Rudge 250 and a very trick Manx. 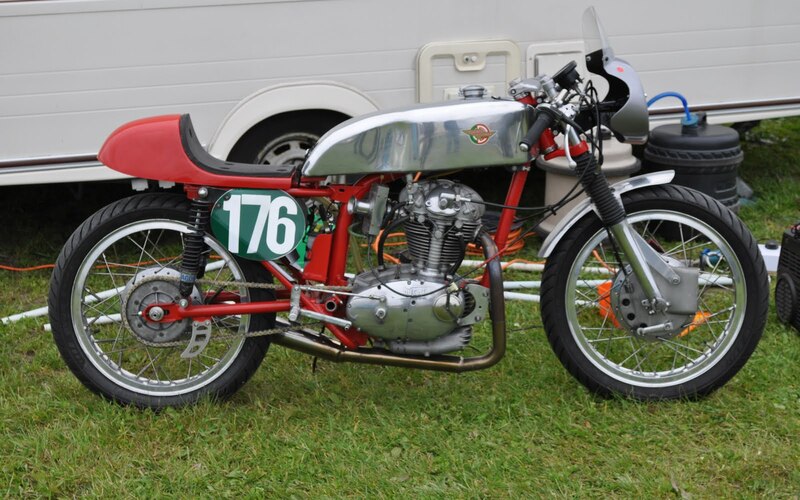 Of the two races I entered on board the NSU 250 Sportmax Replica the first was my very first ACU road race- one to remember! Merv Stratford's famous four valve head Rudge 250. In the search for more power, this expansion chamber was no doubt the result of countless trial and error. A very trick Manx. This machine had a new five speed box and a clever torque-arm system. Who knows what's inside.. 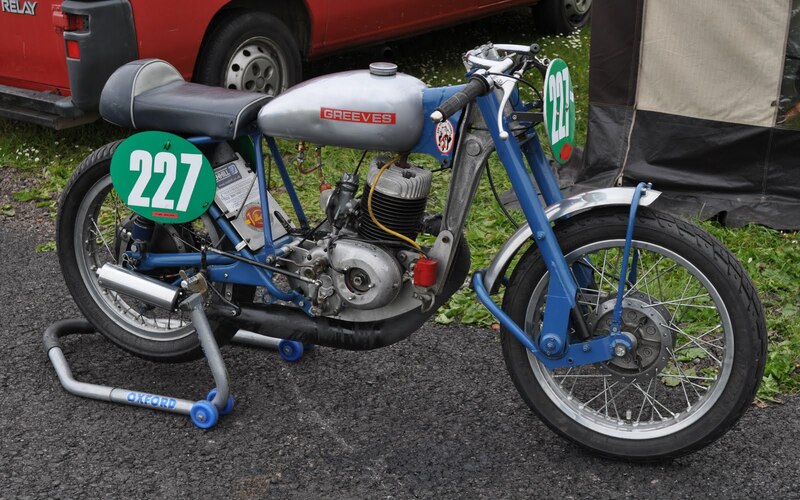 I raced against this Greeves two stroke. Well sorted and quick off the line. More details of the side-valve flat tanker, coming soon.. Behold the "75bhp Swiss watch" Black Falcon by Falcon Motorcycles. "The Black Falcon is the third motorcycle in the Concept 10 series from LA-based Falcon Motorcycles. 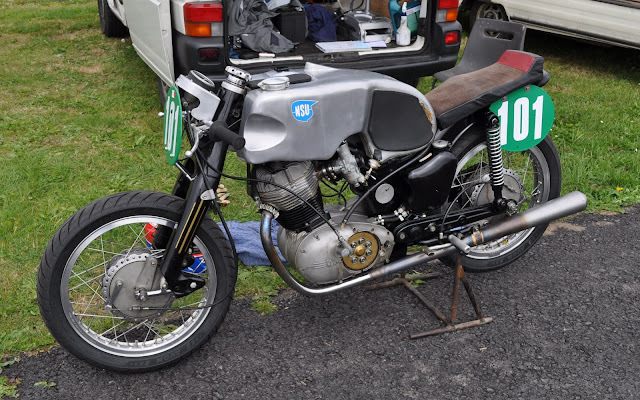 Built off the 1,000 cc V-twin engine of a 1952 Vincent Black Shadow, the Black Falcon took a year to build. Almost everything, except the engine, is handmade. The Black Falcon is the third motorcycle in the Concept 10 series from LA-based Falcon Motorcycles. Built off the 1,000 cc V-twin engine of a 1952 Vincent Black Shadow, the Black Falcon took a year to build. Almost everything, except the engine, is handmade." Los Angeles Times YouTube channel. Sold by Bonhams Auctioneers at the Hendon RAF Museum in 2010 was this angry looking 1926 Harley Davidson 1200c (74ci) OHV Model J racer. I recently stumbled across several images I took of the machine and just had to post them again. 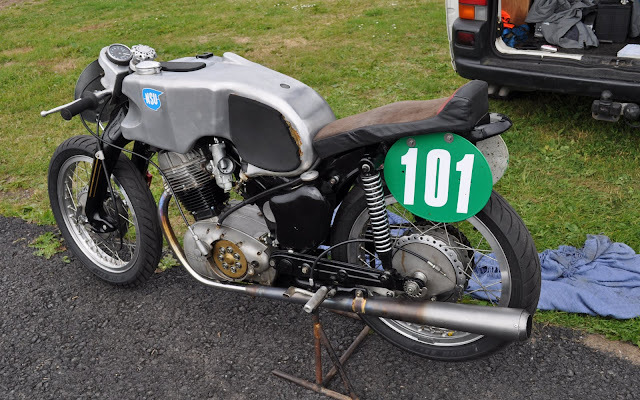 Every part of the motorcycle had been tweaked in the search for more speed, the finish displaying an aged patina that only added to the appeal. 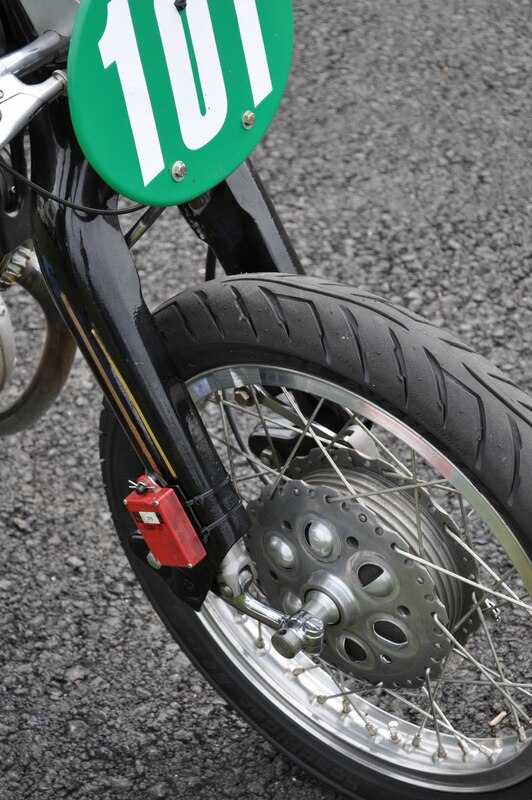 Wearing number boards from a relatively recent event, I can only presume the bike runs very well. Converted to OHV at some point during it's 85 year life, the Harley had straight through pipes, cheese-holed everything and a bum seat that resembled a kind of hernial ballooning! Fitting for a 85 year old machine capable of well over 100 mph. 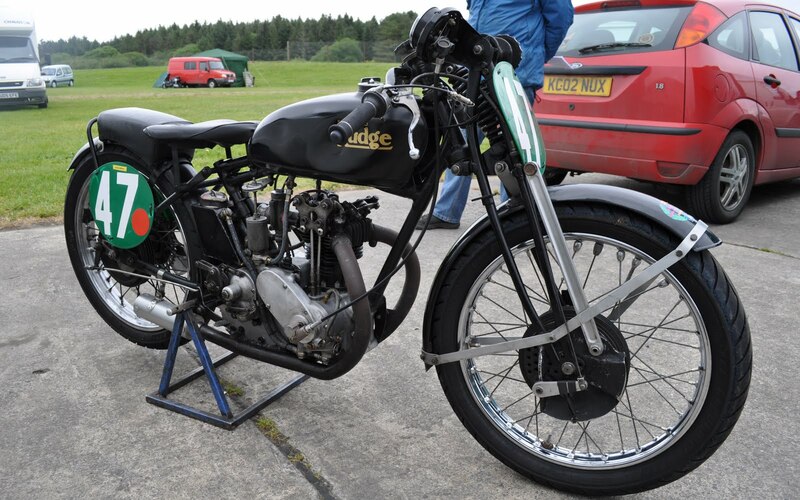 Ideal as a vintage sprint and display bike, it sold, including taxes for £29,900. 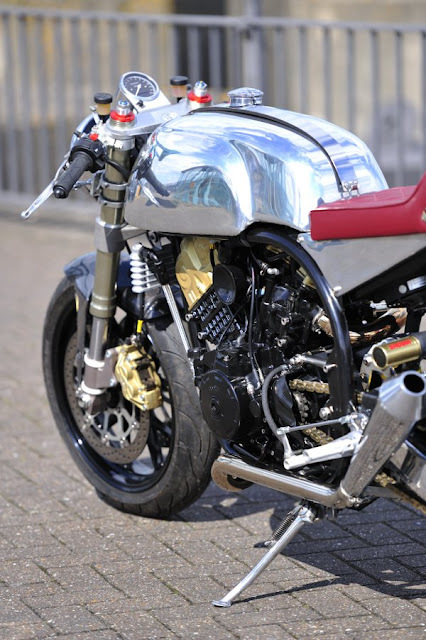 The challenge to create the best looking, fastest, most purposeful cafe racer is a long and winding road. There are many subjective variables that need to be addressed but I feel there are several ingredients that are as simple as black and white, or should it be red and silver? See what I mean..
Firstly the frame. 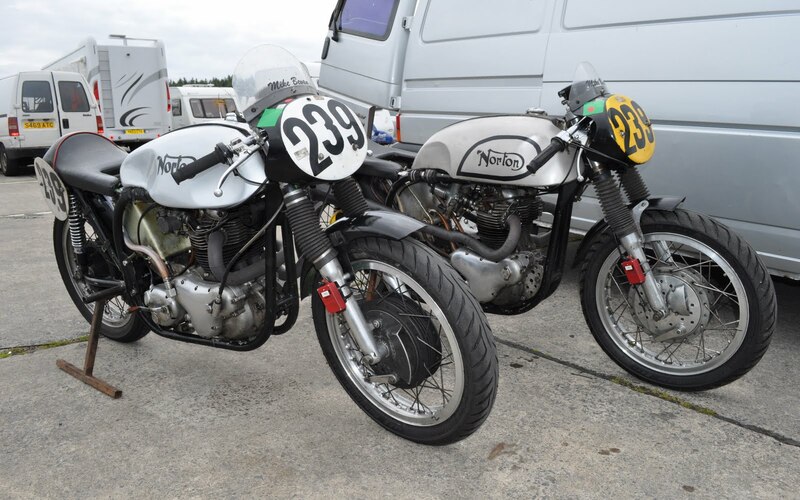 Norton featherbed. It just has to be in my opinion. The second most important pieces in the puzzle are the seat unit and tank. Again, they have to resemble original Manx items. Thirdly, clip-ons and rear sets. Beauty certainly is in the eye of the beholder but to achieve the desired 'look', proportion, stance-angle, sound and performance all require careful consideration. Finally the engine, the heart of any motorcycle. 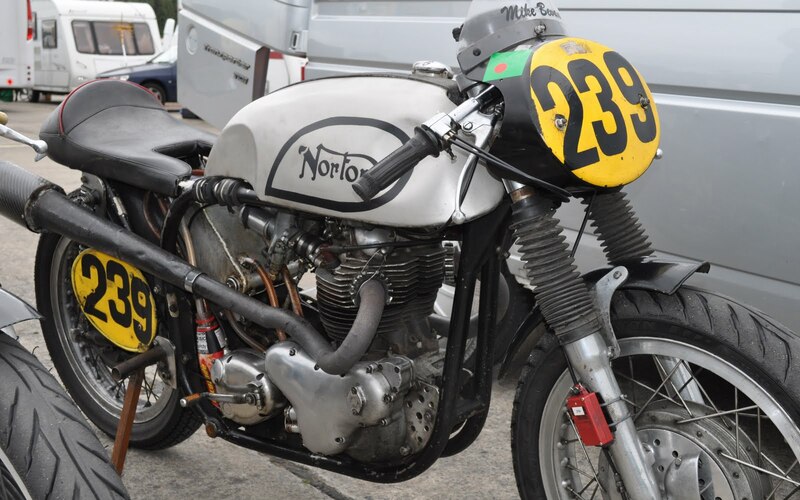 Should it be a Norton pushrod single? Harley pushrod? 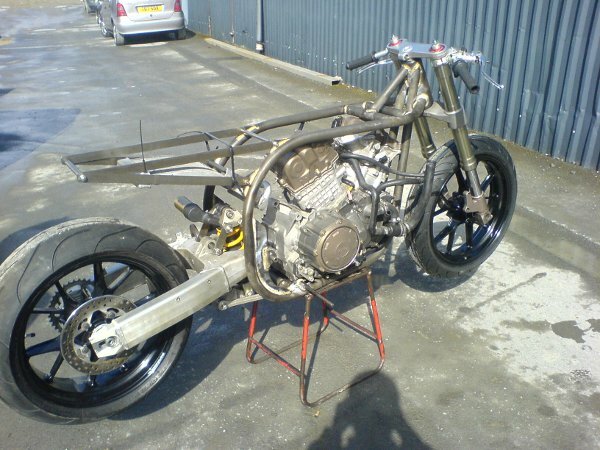 Vincent V-Twin? BSA Gold Star? Yamaha XS? Suzuki GSXR? 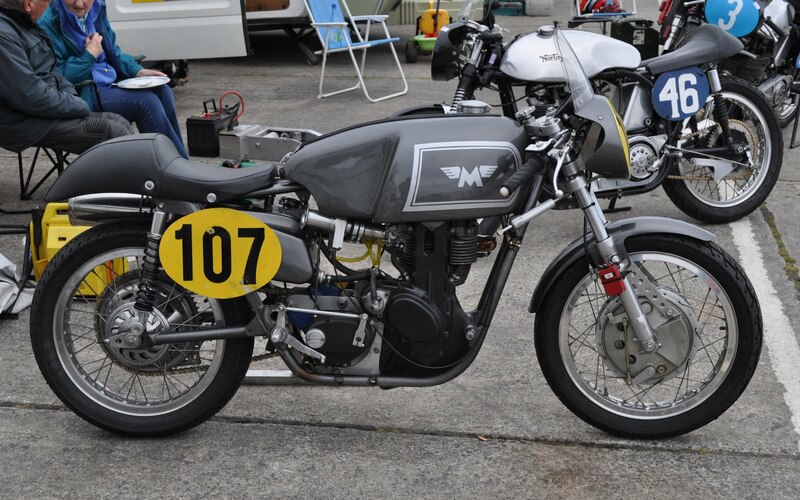 or the old faithful Triumph Twin? 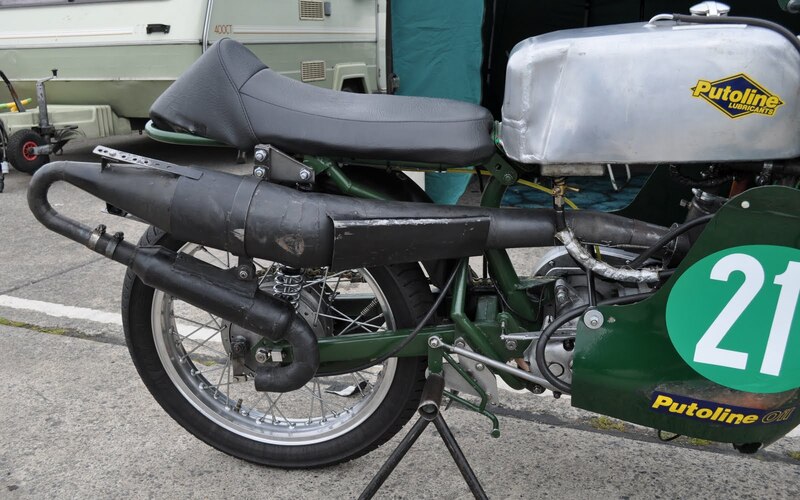 Obviously some options provide more logistical challenges than others but what lump made over the last 50 years would create the epitome of a cafe racer? And slot into the bay of a featherbed frame? 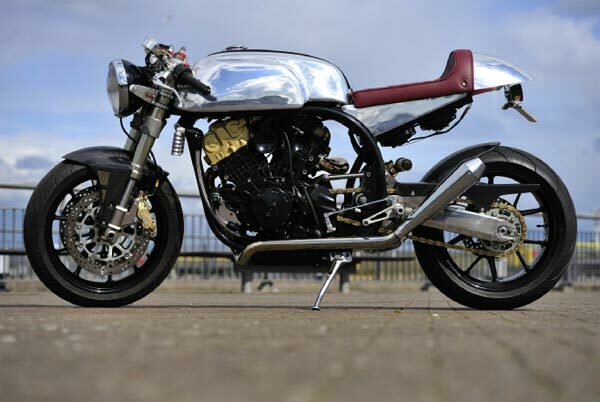 Cardiff based bike builders Taimoshan believe Aprilia have the answer. 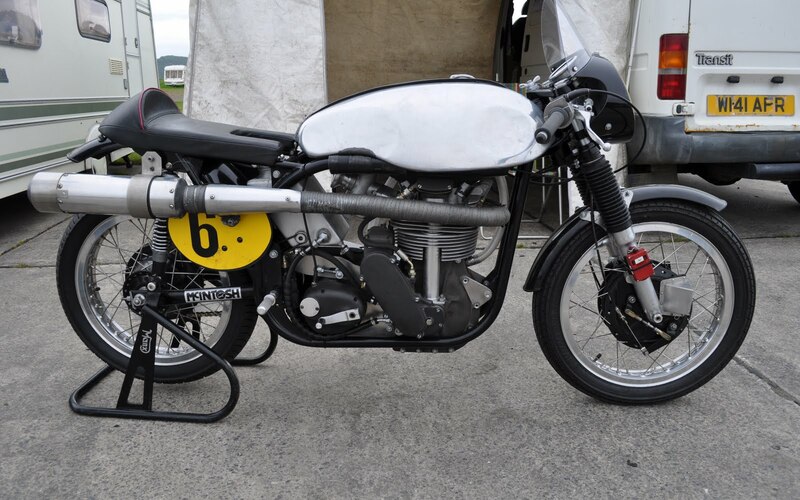 The Super Cafe Racer is a Norton featherbed cradling a 1000cc Aprilia RSV motor. The quality of the work appears to be extremely high. The time and effort put into the rear suspension and unit pro link set-up is remarkable. 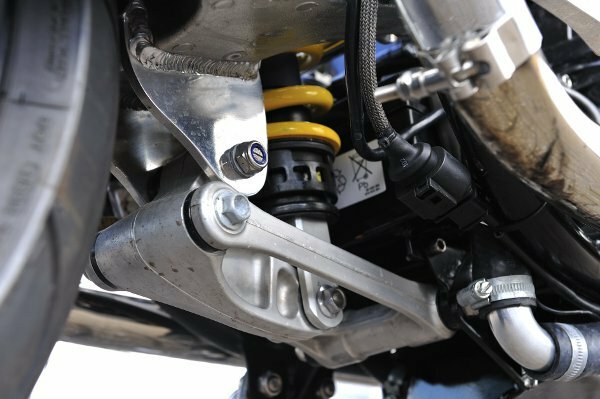 The rear monoshock has no top mounting point on the frame in order to prevent frame flex which can disrupt handling. 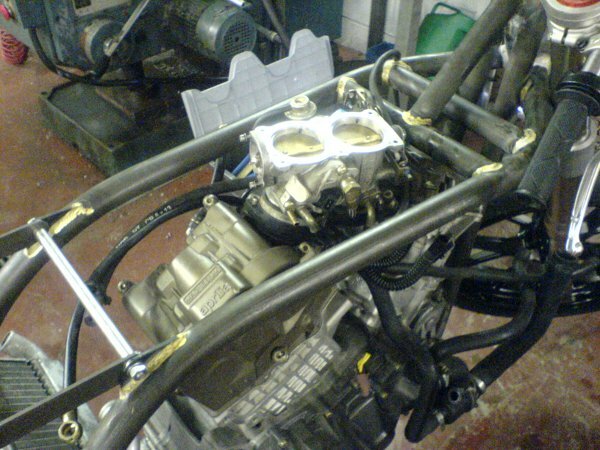 The wiring loom, fuel pump, ignition, full engine management computer and throttle bodies all sit 'in tank' under the Manx style unit. For more information visit the Taimoshan Cycle Works site.